In a prohibition-era world where demonic entities pull the strings that make the crime families dance, Eddie is a mortal with two things working for him. First of all, he can't die. Well, he can and does, quite often, but he doesn't stay that way long. Second, Eddie runs the Gehenna Room, a nightclub with a strict "no demons allowed" policy. But blessings and curses don't look all that different these days. When one of Eddie's old pals shows up seeking sanctuary, Eddie knows he's in for a double-cross. That means walking the line between salvation and damnation once more. 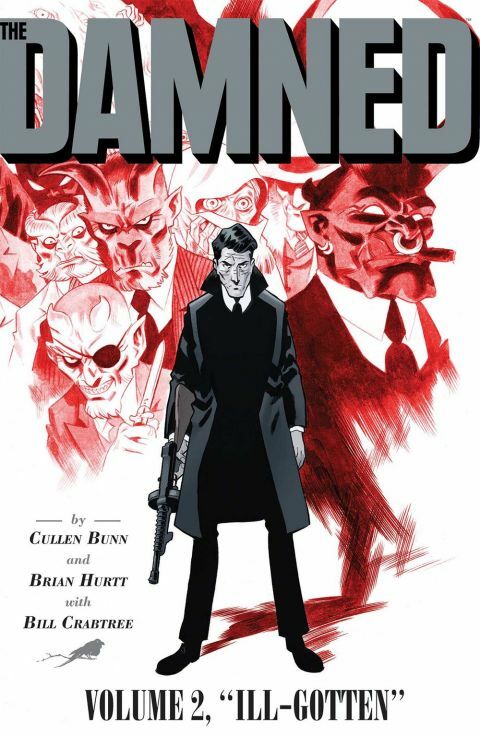 Collects the 5-issue "Ill-Gotten" storyline from The Damned. Other products for "Damned" in "Books"